Last month marked the beginning of the Lunar New Year. 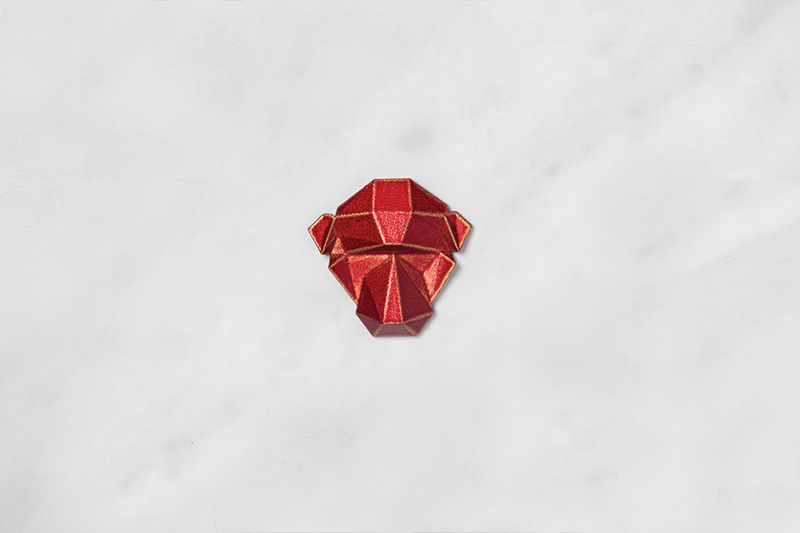 And to celebrate the Year of the Monkey, TREAT & COMPANY created these gorgeous fire monkey pins. The pins are perfectly sized – you can feel the quality of materials, but they're not too heavy. The crimson color on the fire monkeys is so pretty... I'd love to see one of these worn with a neutral outfit and pop of red lipstick. TREAT & COMPANY had established a geometric fractal aesthetic for their core Lunar Token collection, and wanted the limited edition to fall in line with them, yet have it’s own perspective. They broke from using a full figure animal and focused on the face to separate it and establish a new iconic system for the “year of” pins. In addition, they used red to identify the year’s element - this year being fire, they gave it a metallic crackled red glaze. 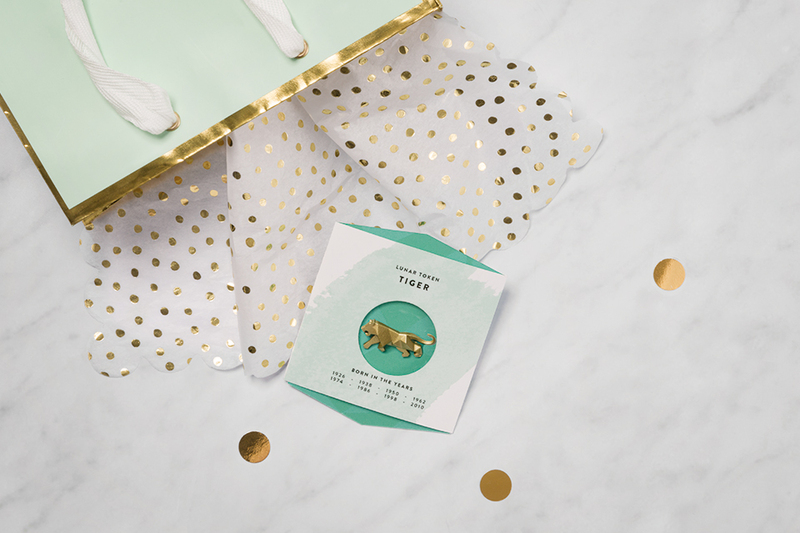 TREAT & COMPANY is looking forward to extending the limited edition each year, and calling out its unique features. The Fire Monkey is said to bring creativity, mindfulness, ambition, vibrancy and courage. 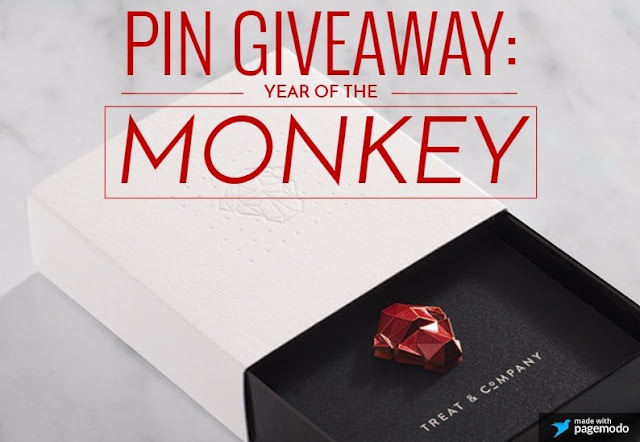 The limited-edition Year of the Monkey pins cost $16.99, plus free shipping. 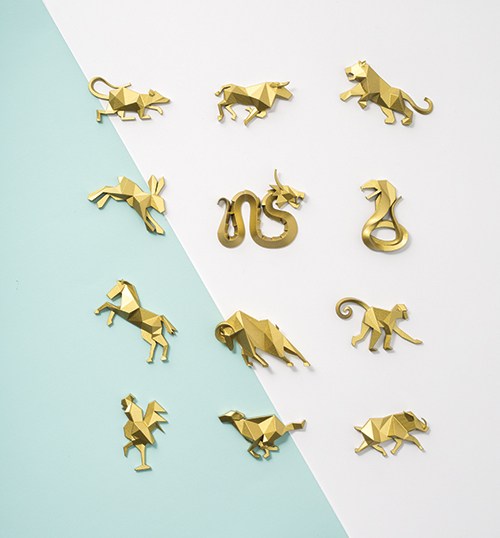 They also offer 11 over zodiac animal pins for $12.99 each, plus free shipping. 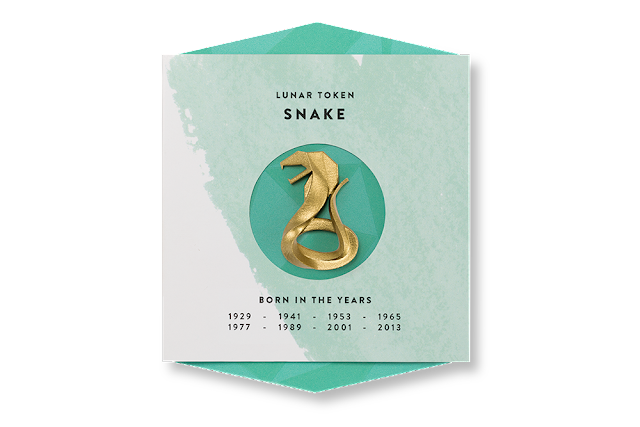 I'm a snake, and they so kindly sent me a snake pin that I absolutely adore. 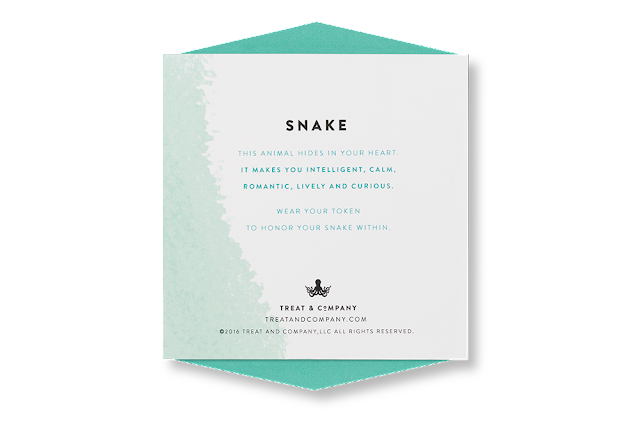 "Intelligent, lively, calm, romantic and curious. 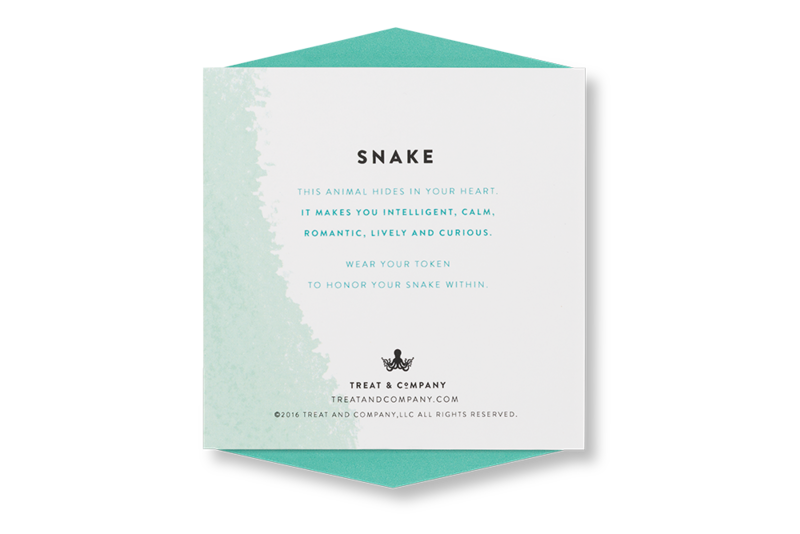 Wear your token to honor your Snake within." Even more generously, TREAT & COMPANY sent me four fire monkey pins to giveaway on the blog! Just use the Rafflecopter giveaway widget below to enter. Happy Lunar New Year! My lunar zodiac animal is the Pig. I would keep the fire monkey pin for myself. My lunar zodiac animal is the horse. Thank you for the giveaway! Mine is the monkey on the Chinese zodiac calendar. I was wondering if I was giving one of these as a gift I would get the gift recipients sign or symbol wouldn't I? This is interesting to me. Thanks for the opportunity. My lunar zodiac animal is the bunny :). I would use it for my PhD Thesis dissertation (lucky me!). My animal is the Dragon and I would gift the Monkey pin to my best friend to celebrate his new job! Thank you The Lovely Side and Treat and Company! I look forward to wearing the Fire Monkey Pin.